I you ever find yourself in Tamp Florida and you desperately need a place to stay then I would recommend renting an RV. I know RVs may have a stigma about them but trust me when I say they have come a long way. If you are on a tight budget then renting an RV in Tampa is the solution for you. 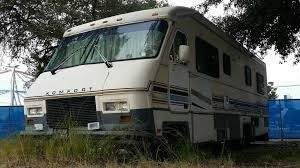 You should make sure that wherever you decide to park the RV make sure you have hook ups because if you are in Florida during the summer it gets really hot and muggy. There is nothing more miserable than being stuck in a small confined place and having it be miserably hot and sticky. Renting an RV in Tampa Florida you have a few different options. I would not recommend you do this. Too much can go wrong and it could easily be a scam if it is on craigslist. Plus you are not covered under any insurance if anything goes wrong and so much could go wrong. So do not use craigslist. This is not a bad option. It’s not great but it’s not bad. One of the down sides is that you are a traveling billboard for them because they have their name and phone number plastered all over them. I had a pretty good experience with them but we were not traveling far and we were 4 guys that could have cared less where we were staying. All in all this is not a bad option but please research all the extras you can be charged for. This is not a bad option also but not every dealership rents out RVs. 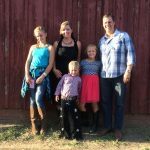 With the success of the peer to peer RV rentals I bet you will start seeing more dealerships start renting out RVs because they see there is a profit to be made in renting. But the dealership tend to be a bit more expensive and are not too flexible on hours for pick up and drop off. But if you find a dalership that has a great deal on this then why not try and rent from them. Again be sure to read about all the extras you can be charged for. You have many different options when renting an RV in Tampa Florida. Please make sure you do your research and see what option is best for you. Do not wait till the last minute to book. Again Tampa is in Florida and during Spring Break and during the winter months when all the snowbirds are there it can be very packed and rentals can be limited if you book at the last minute. Plan ahead and make sure you don’t get stuck with something you don’t want or get overcharged for a hotel room.